Clean, classic and graceful, the Windsor fabric upholstered headboard will imbue your sleep space with a calming energy. Featuring polyester fabric upholstery with high density foam, the Windsor is an up to-date design and will bring ultimate comfort to your sleeping space. The mounting wood posts, in solid rubberwood provide five adjustable levels to headboard and two adjustable levels to the bed frame. This allows you to adjust the height of your bed more flexibly. 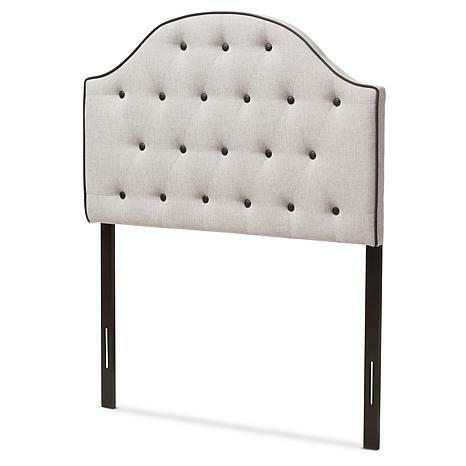 The curved shape headboard is finished with contrasting piping and buttons for a modern Chesterfield look. Made in Malaysia, the Windsor requires assembly.